"Dr. Adler is a great doctor. I have been coming to him for the last 6 years..."
"I love Dr Adler and trust him, i been a patient for almost 6 years. Staff are great..."
"I think Dr. Adler is top notch!!! He takes his time with his patients to answer all.."
Comprehensive OB-GYN of the Palm Beaches is a leading obstetrics and gynecology practice in Palm Beach, Wellington, Royal Palm, and West Palm, Florida, providing state-­of-­the-­art care for women of all ages. As a top-ranked practice, Comprehensive OB-GYN offers an array of treatments and services, including infertility treatments, menopause care, pregnancy and obstetrics care, diagnosis of abnormal Pap test results, Novasure® treatment for heavy menstrual bleeding, hormone replacement therapy (HRT), birth control and contraception, and minimally­ invasive procedures using laparoscopy and robot-assisted surgery techniques. The team is also skilled in the MonaLisa Touch® laser system designed to treat vaginal atrophy so women can find relief for pain, dryness, infections, and other issues. The entire staff of Comprehensive OB-GYN of the Palm Beaches is dedicated to providing patient-centered care aimed at achieving optimal results based on each patient's unique needs. The office is equipped with state­-of-­the-­art technology in a comfortable setting to help women from throughout the Palm Beach region feel confident in the care they receive, every step of the way. Comprehensive OB-GYN of the Palm Beaches welcomes new patients and the practice accepts most major forms of medical insurance. 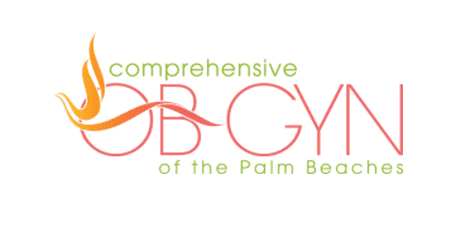 At Comprehensive OB-GYN of the Palm Beaches, we prioritize your comfort and well being. "I love Dr Adler and trust him, i been a patient for almost 6 years. Staff are great and wait time is reasonable..."
"Most informative and helpful doctor's visit I have ever had."